A one percent increase in customer retention equals a one million dollar increase in annual premiums. It’s no longer simply about answering phones. As today’s insurance companies increasingly move toward direct-to-consumer distribution models, smart contact center leaders know the immense value they provide to their organization. Download our ebook to learn 8 Strategies to Improve the Customer Experience. 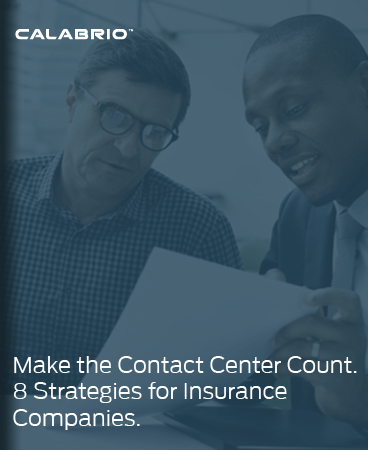 It’s a must-read for any insurance company focused on solving challenges facing insurers, improving the customer experience and making the contact center count.